Fluence unveils SUBRE with Announcement of Sales. With more than 7,000 customer references in 70 countries, Fluence has decades of expertise delivering highly successful water, wastewater and reuse solutions for municipal, industrial, and commercial clients across the globe. Fluence is a global leader in decentralized water and wastewater treatment, with a complete line of solutions from SMART containerized and packaged treatment plants to the latest MABR technology. Fluence has decades of experience treating complex industrial and municipal wastewater streams to help facilities meet environmental standards and achieve operational goals. 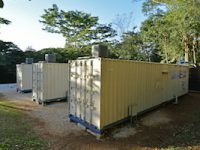 From custom-designed water treatment plants to containerized units, Fluence can reliably and cost-effectively treat water from any source, and deliver high-quality, safe water to communities and industries worldwide. 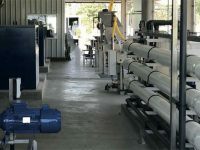 Our best-in-class reuse solutions enable treated wastewater to be reused for a wide range of applications including grey water, irrigation and the processing of ultrapure water for industries. 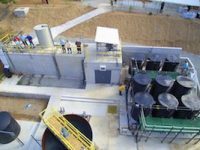 From large-scale plants to modular, containerized desalination systems, Fluence can treat seawater and brackish water affordably and efficiently to meet drinking and process water needs. Our Waste-to-Energy solutions convert wastewater and sludge into biogas, biomethane and electricity to help meet environmental standards and reduce operational costs and carbon dioxide (CO2) emissions. With extensive experience in trade and project financing, leasing, rentals and water-as-a-service (WaaS), Fluence can help you find the right financing solution for your municipal, commercial, or industrial project. Our Smart Operations data analytics software suite helps you monitor your plant’s operation to optimize performance, improve efficiency and save operating costs. Fluence provides a wide range of after-sale support and services to help our customers make the most of their assets. Fluence CTO Ronen Shechter and BlueTech Research CEO Paul O’Callaghan discuss technologies, applications, and growth trends.